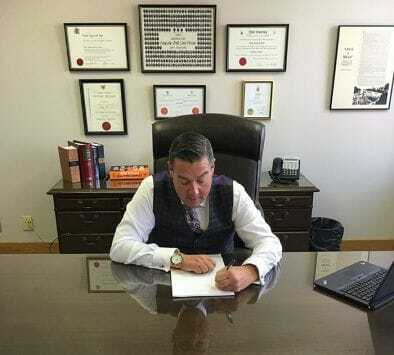 Based out of Windsor, but serving Southwestern Ontario, my law office, Daniel K. Topp, provides comprehensive criminal law defence. With extensive courtroom experience, a deep knowledge of the law and strong oratory abilities, I will ensure that your rights are completely protected. 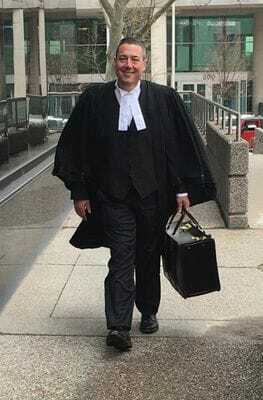 In addition to my experience handling regulatory offences, I also have experience with mental health law, within the parameters of criminal charges, as well as Fire Protection Act charges. If you need help in any of these areas, or the ones identified below, please call me today. A domestic relationship can have many ups and downs. Unfortunately, there are times when the police become involved. If that should happen, you need a lawyer. Choosing the right lawyer at the beginning of any police involvement is critical to your success in resolving these issues and protecting your reputation and well being. You'll need an experienced lawyer like myself who can help you through these troubled times. Get the help you need. A charge of this nature has many serious consequences if you are convicted. Based on the law in Canada, you could very well end up on the Sexual Offender Registry if you are convicted. From the very beginning you need an experienced criminal lawyer to help you get through this. In some ways your very freedoms are on the line. You need to act quickly to get out ahead of these charges and find the best resolution as soon as you can. Get help immediately and call my office today. Any sort of drug convictions can have serious consequences. No matter how minor it is, it can have serious effects on your freedom and reputation. It can even affect your ability to freely travel across international borders, like the United States, or Mexico. With any drug charge, it's in your best interests to call a lawyer as soon as you can. Just because you are caught with drugs, no matter what kind or how much does not mean that you are guilty. I can help - contact my office as soon as you can. When you are arrested by the police and held in custody, you have the constitutional right to a bail hearing. The bail process is the first and, in some cases, the most important step in your defence. It is important to hire a lawyer who can provide counsel and advocate on your behalf. If you or your loved one is in custody, call a lawyer immediately to help secure your loved one's freedom. If you'd like me to help, contact me today. Being charged with impaired driving is a serious offence and the consequences can be long-lasting. Not only could your licence be suspended for at least 90 days, you may have to pay minimum fines starting at $1,000. It's very important that you are represented in court by a lawyer who understands the system and is able to provide you with strong legal representation. Allow me to help, call my office to get help. The police can now lay charges against you of Impaired Operation of a motor vehicle even if you have no alcohol in your system. The law, as it stands now, allows police to charge you if they think that you are impaired by drugs. The consequences of a conviction are exactly the same as Impaired Driving. You must fight these drug charges because many times your driving is not impaired by drugs. Get the protection you deserve. Within the realm of criminal law lies the specialty of Mental Health Law. Many people who suffer from mental illness often times find themselves "trapped" in the Criminal Justice System. I've been a part of the committee dealing with mental illness in the criminal courts since it started. Please allow me to help you, or your loved, one navigate through what can be a very confusing court system. I will do my utmost, using my experience and understanding of mental health law to provide you with a solid defence. There are many options available to clients suffering from mental illness and who are dealing with a criminal charge that will not necessarily end in criminal conviction. Call me immediately if you or your loved one suffers from mental illness and is currently facing a criminal charge. I will exhaust all options to ensure your rights are fully protected. No matter how big or small your criminal charge may seem to you, the most important thing ht at you can do is make sure that you have credible and competent lawyer handle your matter personally. For over fifteen years, I have defended the rights of my clients in cases such as shoplifting, DUIs and assault. It can be as a result of a simple misunderstanding, or you may be falsely accused. When winning matters, call Daniel K. Topp today.